YouTube vlog of my adventures in sound! Saramonic SR-VRM1, new XLR sound recorder coming soon! The name of this new product is going to be “Saramonic SR-VRM1”. I’m guessing as it only provides one XLR connection (assuming the grammar is correct here…. that it is singular, not plural. Not always 100% accurate to make this grammar assumption about all products out of China, but it is a reasonable conclusion to leap to! 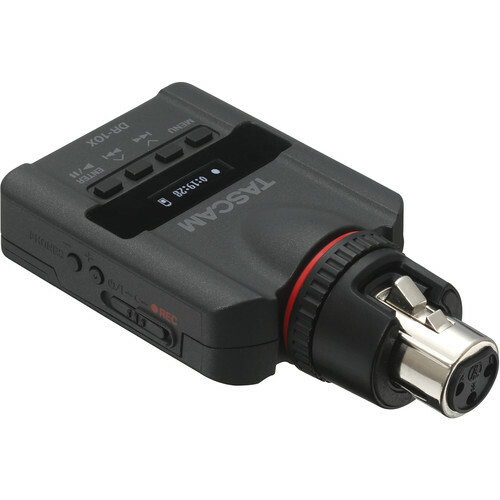 ), that it is going to be a very small recorder, perhaps a competitor to the Tascam DR-10X but at an even lower price point? As well as internal power (AA battery? ), a way for it to be externally powered as well (even if it is as simple as a USB port to power it by. But please not mini USB! Make it be at least Micro USB sized, or even better full size USB). That way we can use it for long recording takes unattended, until the card fills up. Or can be used in your mixing bag as an small back up recording, without needing to concern ourselves about keeping batteries topped up. Some way to pass out audio (just like the Tascam DR-10CS has, and many other recorders), ideally XLR, but even just a 3.5mm output would be ok & better than nothing. Have both one XLR input, and one 3.5mm (a locking 3.5mm please!) input, so we’ve got that choice. Previous PostLens Options for 360 Degree Virtual Reality Camera Rigs? And other thoughts on cameras. Next PostRokinon Cine DS 20mm T1.9 is coming at last! Follow me on YouTube: the vlog of my adventures in sound! Do I hate Sound Devices? Three Years of Firmware Updates for the original Zoom F8, what does the future hold for the new Zoom F8n? A better headphone output for the Zoom F4 / F8? Most Popular Sound Recorders on B&H in 2018? A firmware update I’d love to see for the Zoom F4/F8: mirroring from one SD card slot to another. Leaked: the specs of the Panasonic GH5S, & *FINALLY* we get the first stills camera with timecode I/O! Leaked: is a new Sound Devices MixPre-10T coming soon? Confirmed: confidential Panasonic GH5 prototype exists, is being tested by users outside of Panasonic. Rokinon Cine DS 20mm T1.9 is coming at last! Lens Options for 360 Degree Virtual Reality Camera Rigs? And other thoughts on cameras. Sci-Fi short film written by AI! What if Kinefinity’s KineMount became a universal cinema mount? Set of camera gear for a school to use for teaching filmmaking to young teenage students? David Peterson - Sound Speed David Peterson - "Sound Speed" is at Kiss Kiss.